Sometimes the big screen is the perfect kitchen inspiration. A year has passed since Kevin McCallister's family forgot him at home during Christmastime. This time, he somehow ends up on the wrong plane to the wrong city! Imagine being 9 years old and left to your own devices in NYC. Few of us would have had the wherewithal to last a couple of hours, let alone days, but this is Kevin McCallister we're talking about. Not only did he con his way into The Plaza Hotel, but he ordered that epic ice cream sundae that was bigger than his head. 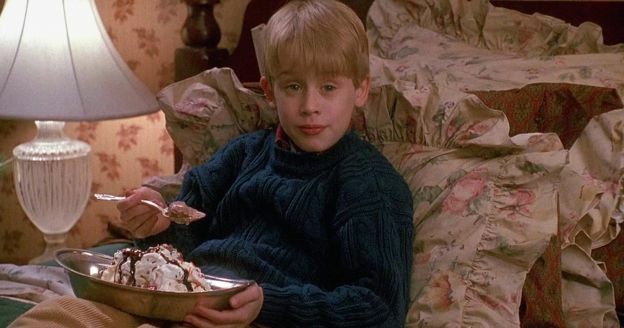 It still makes us drool every time we watch Home Alone 2. And before you ask—yes, ice cream does count as a meal, especially when it's a sundae as elaborate as this one.